Edgewood’s excellent record keeping has earned it the Auditor of State Award for fiscal year 2018. This is the fourth time in five years the district has earned this prestigious award. 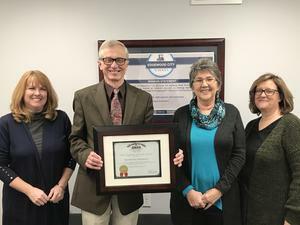 The State Auditor’s Office audits over 5,600 state and local government organizations and recognized approximately 5% of those entities as earning this award.